As a blogging enthusiast, you need to realise the power of email marketing. It is a proven method for creating audience engagement and generating business – two factors which power every small and large business worldwide! As such, to help you with email marketing, we will discuss the email automation software, MailChimp, which can be perfectly integrated with WordPress to build a subscriber base. There are tons of marketing programs that may assist you in making your blog popular, and one of them is MailChimp which is well-known in providing so. MailChimp is an automated email marketing program which is easy to use and has WordPress integration. One of its finest features is that after the signup, you can start straight away. The learning curve is almost non-existent. After few steps to set up the email list, MailChimp will send emails to your target audience automatically. Its features include designing custom email templates, setting-up autoresponders, and monitoring email list performance. MailChimp also has its mobile application which allows you to create your campaign from any smartphone or tablet. You can even manage and monitor the performance of your campaign directly from the application. This tool is completely user-friendly, making it popular among both beginners and the professionals. Here is a quick guide on how to integrate your log with MailChimp to promote your blog and keep the readers aware of the new posts. The initial step for using MailChimp is to sign up for a MailChimp account. 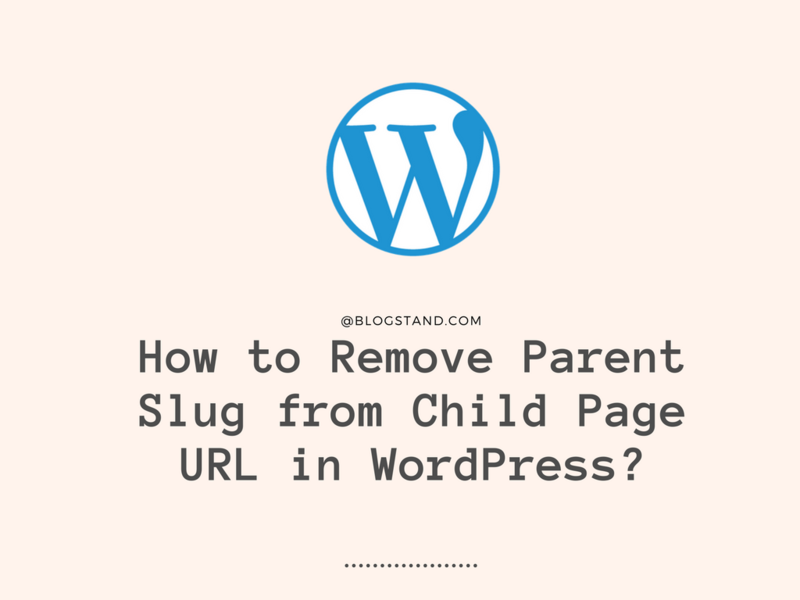 Only then you will be able to connect it to your WordPress website. To sign up, visit the MailChimp website and click on the sign-up button. You will be redirected to their sign up page. Fill in your email address, unique username and password and click on get started. After you have signed up, you will be forwarded to your MailChimp account dashboard. Once you successfully sign up for your account, you will require making an email list of your visitors. For that, you need to click on Create a List button on your MailChimp Dashboard and fill out the necessary information like name of this list, an email address for your visitors to reply and many other essential details. As soon as you are done with filling the details, click on the save changes button and you are ready to go. After you save your email list, you will be redirected to your created list dashboard where you can design your custom email signup form. First, you have to click on Edit, and then you’ll see Signup Forms button. Click on it and afterwards click on General Forms and scroll down to customise your signup form. Here you can change color, images, different fonts and various fields to add information of your visitors like their interests, name, their hobbies and many others. After saving the form, don’t forget to save the URL of the form. This URL will make the sharing process simple and help your users to sign up easily. Before sending emails, you must be sure that your emails will gather a lot of visitors and for that, you can use Lead Magnets. Lead Magnets are nothing short of visitor attractors. They are something your visitors get when they sign up for your list. Your Lead Magnet could include anything which your visitors would like to have, but that doesn’t mean that you should put a hole in your pocket. But, it is up to you that what you would like to offer as a Lead Magnet. Moreover, you could also change the subject of the email to make it more interesting. The next and essential step is to integrate your WordPress to your MailChimp account. For that, you need to visit the Lists page in your MailChimp account and click on down arrow button which is by default listed to the right of the Stats button. After that, click on Sign Up forms, then you will see different form options including General Forms and Embedded Forms. You have to click on the Select button placed next to the Embedded Forms, and you will be redirected where you will see a different field of information which you want to have on your form and other different customisation options. After successful completion, embed the code and visit your WordPress Admin Dashboard. On the dashboard, click on the Appearance and then on Widgets. Add a text widget to your WordPress web page and paste the embedded code in it. 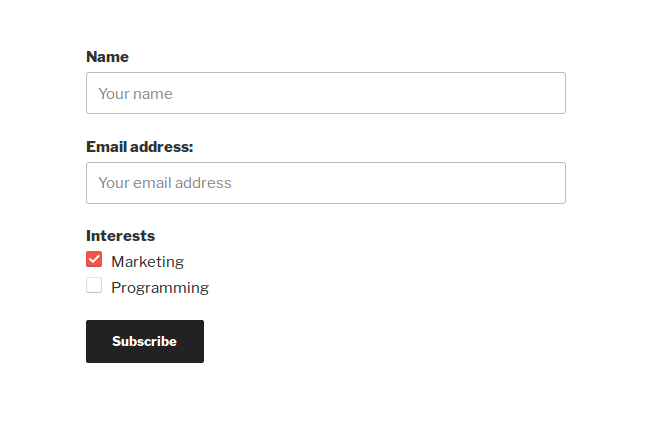 Now, you have successfully integrated your MailChimp signup form with your WordPress website. Alternatively, you can use some of the below-listed plugins to not only automatically integrate WordPress with MailChimp but get access to other features too. This plugin is one of the most popular and widely used MailChimp plugins for WordPress which helps you add more visitors to your WordPress website. This plugin connects with your MailChimp account in no time; it is easy to use and mobile-friendly as well. It can be easily integrated with various plugins like Default WordPress Comment Form, Contact Form 7, WooCommerce, Ninja Forms 3, Events Manager and numerous others. While you can use this plugin for free, there are some specific features which are exclusive to premium users. Those features include Multiple Forms (with AJAX), Email Notifications, Detailed Reports and Statistics and much more. If you have an e-commerce business on WordPress, then MailChimp for WooCommerce is perfect for you. This plugin is an official MailChimp plugin that automatically syncs the purchase data of your customers with your MailChimp account to make it easier for you to target your audience. With this plugin, you can showcase product recommendations, track your marketing performance, sync list and purchase data and enhance your addressees through Facebook and Instagram Ad campaigns. Supporting the most powerful API 3.0 features, this plugin targets those who have not integrated their WooCommerce stores with their MailChimp account. If you wish to add unlimited MailChimp sign up forms to your WordPress website, then this plugin should be your choice. With Easy Forms for MailChimp, you can easily track user activity and manage user settings as well. Its broad range of features comprises customising the MailChimp button text, quick toggle between single or double opt-in, limits opt-ins by logged in users, availability of numerous hooks and filters to extend the plugin. Apart from that, this plugin can be further integrated with several plugins like WooCommerce, Easy Digital Downloads, BuddyPress, BbPress, and Contact Form 7. Developed by ibericode, this WordPress plugin allows users to synchronise their visitors with the MailChimp list of their choice. This plugin will help you in getting to know the exact number of your WordPress users. Some of its remarkable features are automatically subscribing your new users to your MailChimp list, keep a record of the profile changes with MailChimp and sync all the existing users. Make sure to install MailChimp for Word Press plugin to use this plugin. This easy to use plugin is used to integrate Contact Form 7 with MailChimp. The requirements of this plugin are a WordPress website, Contact Form 7 and a MailChimp account. This feature-rich plugin uses a different mailing list per contact, supports custom fields, single and double opt-in, and uses latest API V3. Also, they are soon going to add support for groups and segments in future updates. Post this installation, whoever uses the embedded contact form, their details will be automatically added to the MailChimp emailing list. 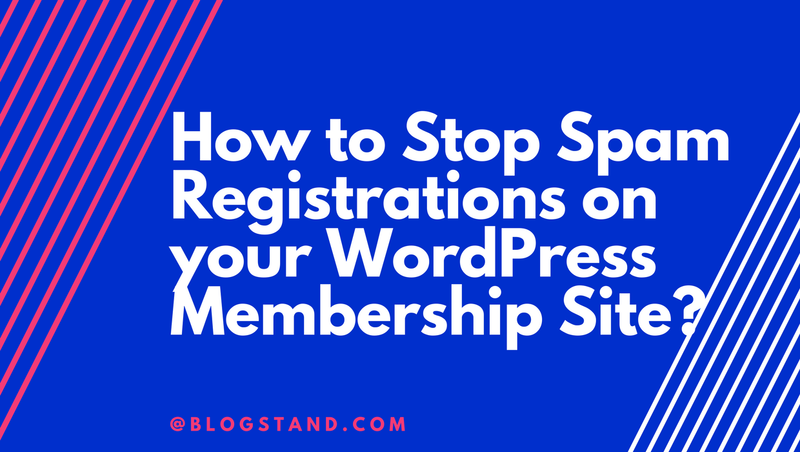 This plugin is different from most of the MailChimp plugins as it adds a sign-up bar to either top or at the bottom of your WordPress website which is sure to catch the reader’s attention. The user can easily dismiss the bar, if they feel like this is obstructing them. With the help of this bar, the users can easily subscribe to any of your MailChimp list of their choice. This bar is customisable, easy to install and doesn’t put a heavy load on the website. Those were some of the MailChimp plugins that you could use to acquire more subscribers. Now, you know how to integrate your WordPress website with your MailChimp account and some of the plugins as well.